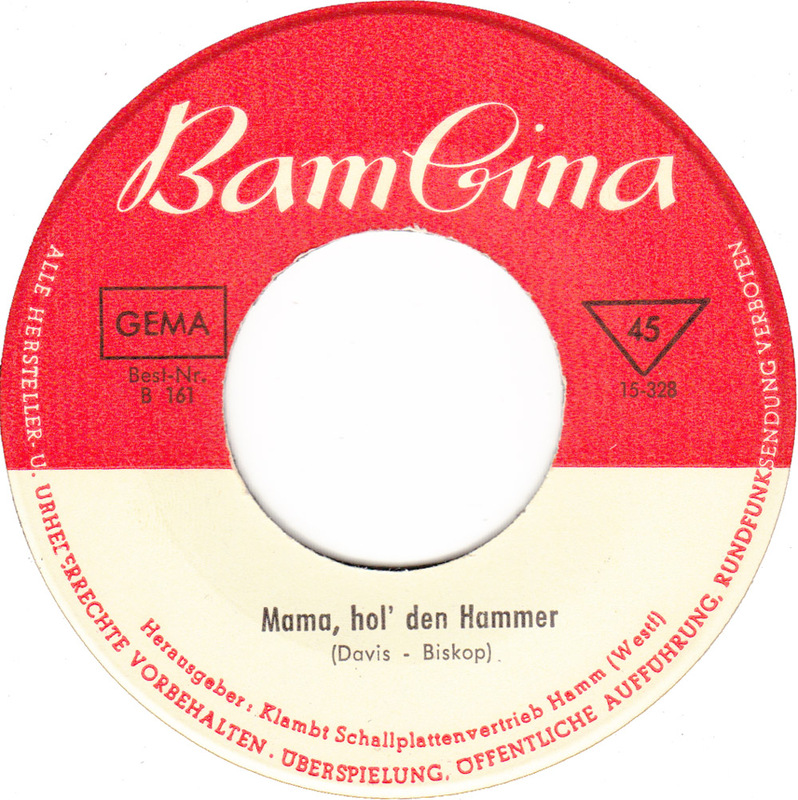 In the early 1960s the tiny Bambina label out of Hamm, North Rhine-Westphalia produced close to a hundred 45s of cover versions, with the majority of them listing no artist´s names. 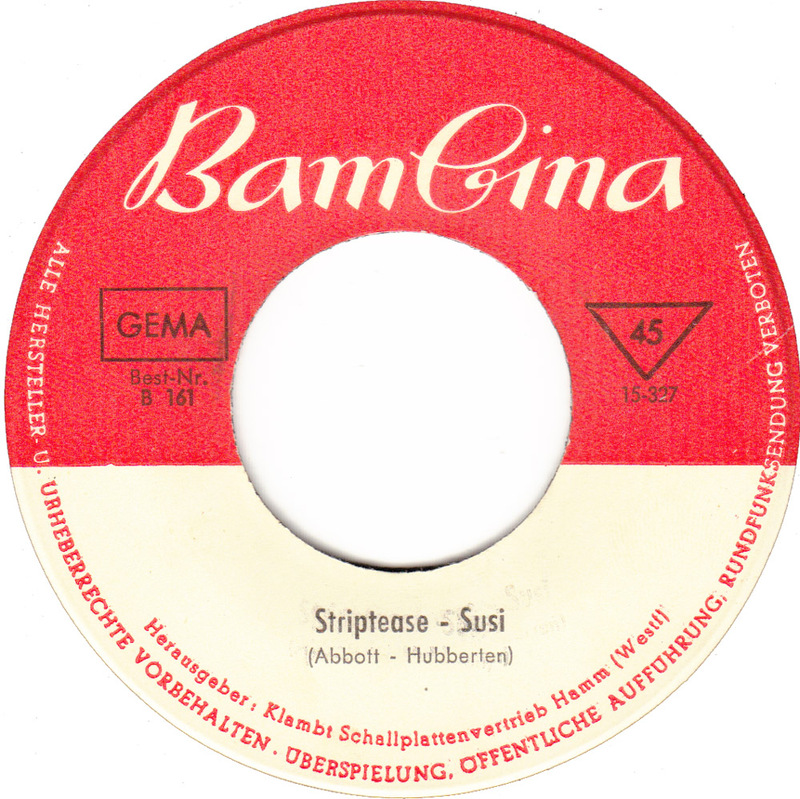 Why they released nameless records I don´t know. 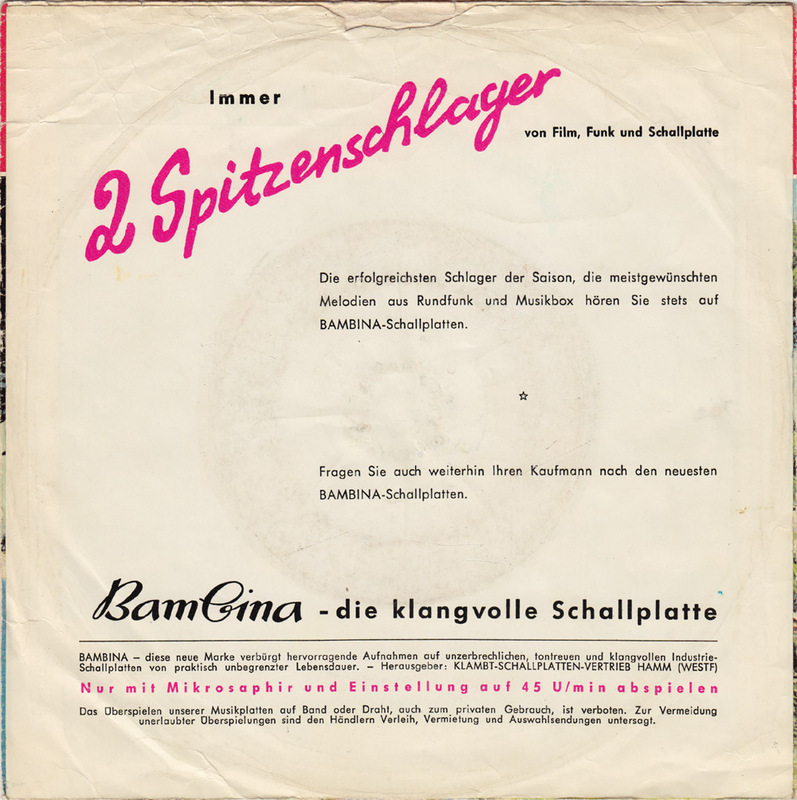 People in the budget business probably thought that teenagers didn´t really care who performed their music or that they wouldn´t be able to tell the difference if there were no names on the labels. On the other hand the budgets knew, that a lot of kids just didn´t have the money to buy the more expensive original versions. The shop owner of one of the second hand shops where I buy records regularly, told me how when he was a a teenager in the early 60s, everybody used to own only a handful of records. 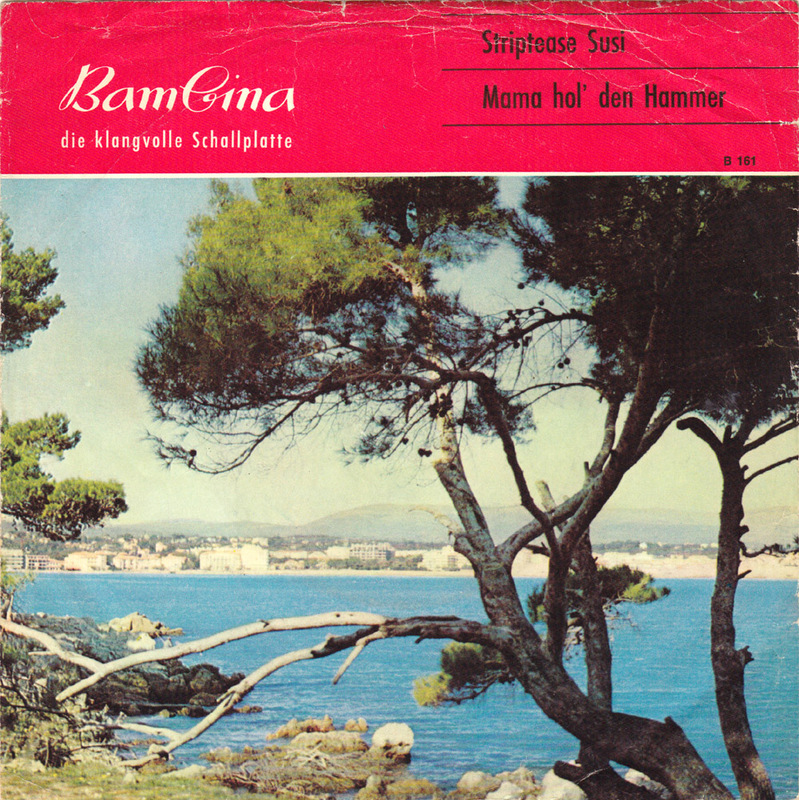 Each 45 that was bought was carefully chosen. He especially remembered how obscene he had thought it to be, when one day a friend of his had gotten some money and bought three 45s at the same time! Unbelievable obscene luxury! Today everybody has thousands of songs on their Ipods and millions of songs can be downloaded on the Internet for free. With all this overload of music I wonder why anyone would buy MP3s or pay for Internet-Radio like Spotify. But at least today nobody would ever have to consider buying second rate versions of current hit songs. The fun part with the music on these budget records is that, because nobody cared about them to begin with, we don´t have to care either. Who knows if these records really exist anyway? Maybe I just erased the names on the labels? Maybe I made it all up? Who can tell? This is the Internet after all, where everything is digital and nothing is real.